Well-appointed home located on the premiere street within Aspen Creek. Grand staircase greets you upon entering the impressive foyer with wood flooring & high ceilings continuing throughout the main floor. 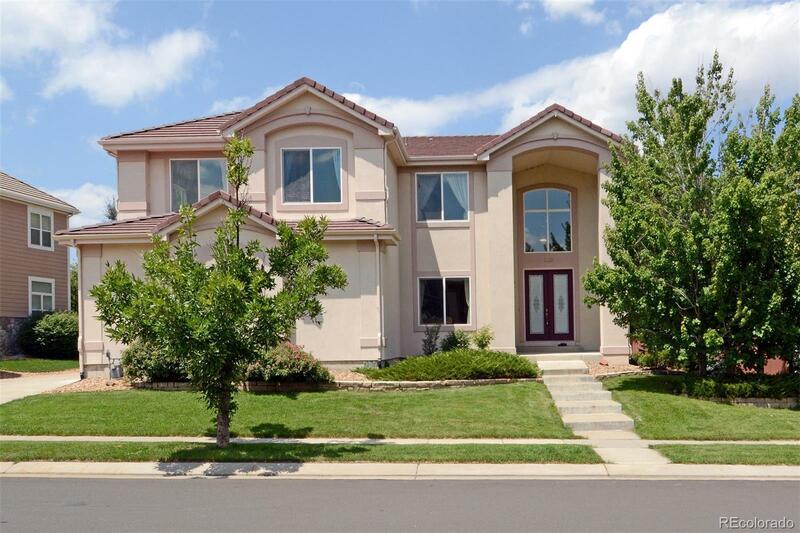 Tastefully maintained interior features 4 beds, 4 baths, a formal living room and dining room, gourmet kitchen with granite countertops and center island, breakfast room and pantry, powder room as well as a main floor executive study. Special features include three en-suite bedrooms and an impressive master suite with a FP, spa like bath design and a walk-in closet on the 2nd floor. There's a large private yard with an extensive patio, over-sized 3 car garage, and an unfinished basement that could accommodate an additional bath, rec room and 5th bedroom. Access to one of the most sought-after school districts in the state, a quiet & private location with easy commute to Denver, Boulder and beyond. Take advantage of everything that Broomfield and Boulder County have to offer!